Annnnnd they’re off! — Spring in the air, bourbon in the glasses, tulips and red roses around the winning horses. It’s Derby time down here in the South, y’all. This is when all of the stops come out. Pastels for days, hats to the clouds. You know what I’m talking about. It’s the most exciting 2 minutes in sports, after all. Luckily, the buildup to those 2 minutes is even better than the winning lap itself. Each day this week, I’m sharing my favorite twists on the famous Southern Mint Julep on the blog. At the end of the week, I’ll be live posting from Derby weekend in Kentucky on social media, with a round-up of my favorites coming after. Loosen your bow tie and follow along, y’all. It’s gonna be a good week on Southern Fatty. Many of you may or may not already know that I moved to Nashville from Kentucky. I grew up in a tiny, itty-bitty town in Eastern Kentucky, spent a summer working on research in Louisville, finished my College days in Lexington, and liked it so much that I stayed for a couple more years while working in Fire/EMS (random, right?). 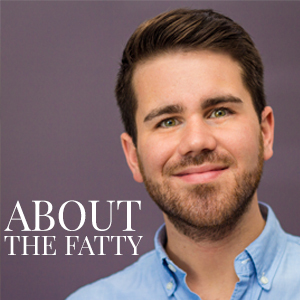 I moved to Nashville 5 years ago to jump back into the world of academia. All of these years later, I still have a large place in my heart for my old Kentucky home. It’s a gorgeous state, and I’m pretty thrilled to share a tasty piece of it with you all during the next next week on the blog. I’ve been to the Oaks and Derby a few times in my past, but haven’t visited for several years. This year is when I fix that. I’ll be back at Churchill Downs rooting on the horses that I know absolutely nothing about. It’s about the drinks, right? Right. Although Cognac is rumored to have been the first spirit that graced the chilled silver cups, whiskey is also recorded as being used from as early as 1803. 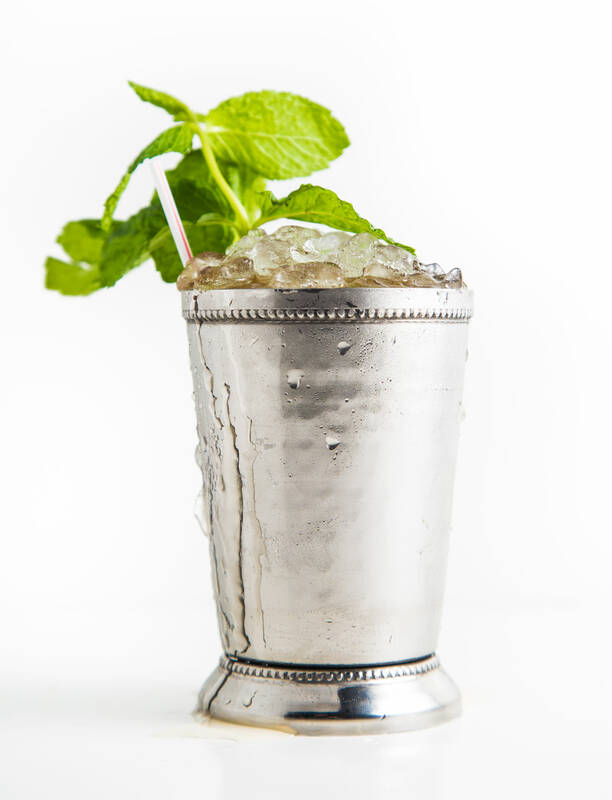 There are as many versions and recipes for the julep as there are people drinking them. My personal favorite is a classic, old-school sip. Kentucky Colonel Mint (Yes, It’s a thing. No, Not the chicken.). Good KY bourbon. A bit of sugar. DONE. — This whole week, I’ll also be sharing some more non-traditional twists on this classic. Purists, look away (after making yourself a few of these). We’re going to have some great buzz-worthy mixes coming up. 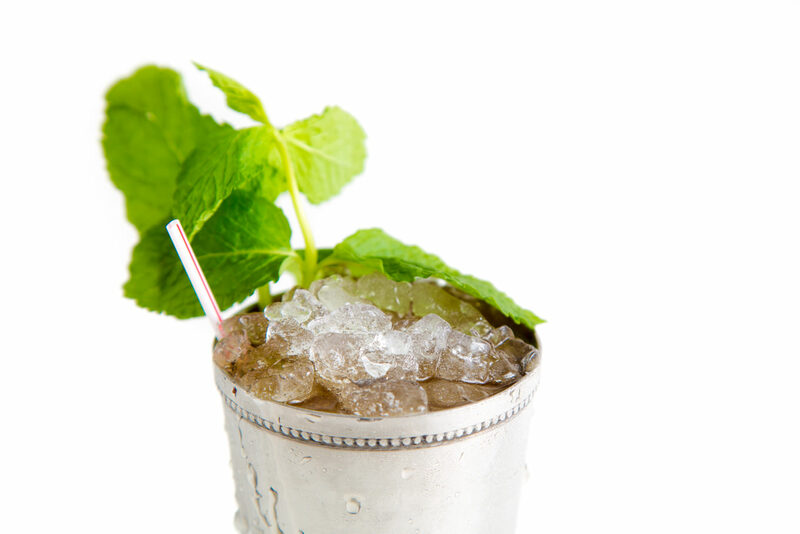 Classic Southern Mint Julep just in time for Derby weekend. By SouthernFATTY.com. Chill silver julep cup before starting for best results. Take one mint sprig and rub the inside of the cup with a bit of force. You want to bruise the leaves, but not rip them up. I've found this is the best way to transfer the delicious mint oils into the drink in the classic, authentic way. Combine superfine sugar and bourbon. Mix until dissolved. Place straw with second mint sprig directly beside (so you can smell it when you sip). More julep twist recipes on SouthernFATTY.com! What’s your favorite Kentucky bourbon cocktail? Come back each day this week for a new julep twist leading up to Derby weekend! Sure is! One of my favorites. Love love all of these recipes for juleps!